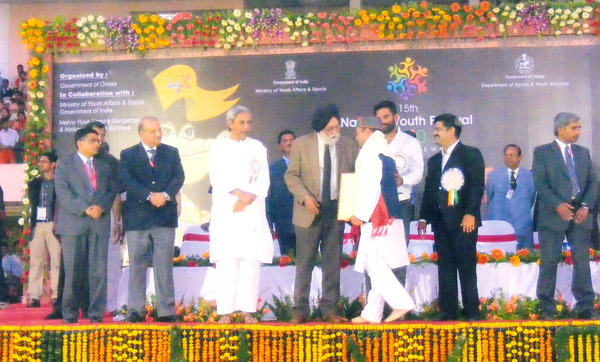 The Chairman of Incredible himachal Mr. Hemraj Chauhan got the National Youth Award by the Govt. of India and Silver Medallion by the Hon’able President of India for Social work and Voluntarily Social Services throughout HP at Bhuvneshwar, Orrisa, India on 08th Jan. 2010. A program organized by the Mandi Zonal Hospital on National Volunteer Blood Donation day on 15-OCT-2014 . The program organised under the chairmanship of Health minister of Himachal Shri Thakur Kaul Singh and different NGOs, Incredible Himachal NGO, IIT Mandi, BBMB, HP University Shimla, ITI mandi, Sant Nirankari Satsang and Abhilashi University were the participant of this program. These all participant awarded by the Health minister for their excellent role in blood donation campaign in last 2-3 years. For Incredible Himachal the award revived by the executive member Mr. Niraj Gupta.